You can tell how balanced the UK recovery from the Great recession is from two sets of results out this morning. 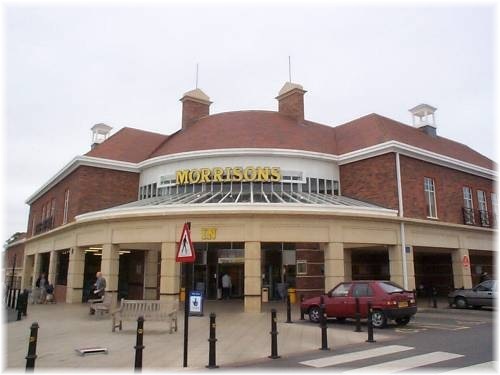 Firstly Morrisons, the King of the North and source of fresh, but cheap food, has had a bad time of it of late. Sales our down and the CEO is forced to come out with 'we are working at pace' type of rhetoric. In contrast John Lewis, the owner of Waitrose has come out with some more very good results, despite in general retailers tailing off a little over the hot summer in terms of performance. By contrast, in the north of the country, the fall in public sector jobs continues and there is little private sector kindling to inspire a recovery. House prices are not rising at the same rates and so a steady state continues, albeit at a much lower level than in the now distant past of the early naughties. And yet, despite this obvious contrast in the economy, many Labour and Tory MP's are dead set against HS2. Willing to believe any scare stories about the massive cost over-runs which are now up to 4x what the original plan was (most large projects that I have seen or watched tend to come in between 2-2.5x initial estimates, so £40-50 billion, over 20 years is about right for the full project). We desperately need to upgrade the roads and my default position is usually to invest in roads as this accounts for 95% of traffic and journeys. However, in the very long-term, surely connecting the rest of the Country more easily to the growth region of the UK should be a high priority. Not only that but there is record money availabe in Europe in Infrastructure funds, pls long-term bank debt available too - the private sector can easily be tapped right now for investment. It must be worth a billion or two a year out of £700-odd billion spending to try this. After all, this whole North-South divide thing is not exactly a new phenomen is it? North south divide. I'll say. I burnt the crops, stables, granaries and houses and let the Northern peasant buggers starve to death. I have no problem with upgrading infastructure to the north. The question is will HS2 actualy bring any benefits and are the alternatives better? Can you really call Birmingham "the north"?? Reminds me of the old idea of moving the status of "capital city" some other place than London to spread administrative/political money and hangers on away from London, therby spreading the wealth. It's NOT a "North/South" divide. It's a "South East/Rest of the country divide". End of. What is needed is for there to be railway stations with adequate parking where the major motorways intersect the inter-city lines. As a businessman I could always do useful work on a train and the journey time was irtelevant as along as it was reliable. I could not do such useful work in a car. The ability to easily drive to a station and swap car for train was always the deciding factor as to whether I took the train or not. Elby - same difference, it needs better communications. CU - to be devils advocate - an interesting dichotomy you present - it's the only thing on the table - whether its any good or not..
HS2 isn't designed to help working-class 'northerner' get to work. To many of which HS2 would be too expensive for regular travel. HS2 is for the purpose of allowing rich londoners to have second homes in the home counties and a faster commute back to london. If they want to do that, they can pay for it them bloody selves. Not dump the cost on the taxpayer. Let's look at the "problem" before deciding on a potential solution. The "problem" is that London and the SE has become a centre of excellence for many high-value industries: not just finance, but accountancy, law, education, theatre, music, marketing, the list goes on. Centres of excellence attract talent, creating a virtuous circle which is why the population of London is booming and its successful industries are thriving. London's global-facing industries have attracted top global firms and hence top salaries, which has contributed to the housing boom - successful Londoners are now competing with successful international talent for the nice houses. London also attracts foreign wealth looking for safe havens thanks to our amazingly-stable constitution and legal respect for private property and contracts. The rest of the UK has many strengths but is clearly being out-produced by the London-centric part of the economy. Hence the "divide". Ideally, the rest of the country would become as productive as London is. How on Earth can public policy achieve that? The Labour government tried direct wealth transfers from the successful to the unsuccessful. I don't think many would say that has worked. Creating lots of nice comfy public sector non-jobs in Wakefield does not make the Wakefield economy more globally competitive. Previous central planning governments (when that was in vogue for about fifty years) tried building industrial centres of excellence by nationalising and rationalising. Ooops. So what can we try now? Do we want to try and force some of the successful industries to relocate? The government could move the courts to Leeds, for example. That would encourage whole rafts of the legal industry out of London. Or would that be no easier than moving Heathrow airport to a new location?? Lots of people suggest using the earmarked HS2 money and using it to improve existing infrastructure such as railway bottlenecks and widening congested roads, or to improve city/regional transport in places like Manchester/Nottingham/Newcastle. That might do some good. But what I really think would allow the rest of the country to compete would be to allow cities/regions to compete with London on housing and transport and education. If some imagined Greater North-West Region was able to attract firms with lower business rates or corporation tax or attract high-value talent by having better public transport to cheaper canal-side apartments, or whatever, the balance might start to shift. Some of this is already happening under the coalition. Greater Manchester has finally set up a proper metropolitan transport authority, for example. I went to university Up North and I always thought that the city could easily specialise itself into a kind of education and training hub. It probably already is regarded as such to an extent, but without too much difficulty the university could compete with Oxford and Cambridge (the course I took was rated as a better course than the equivalent at Cambridge in the years I was there, but could not fill all its places) for international and domestic students. I think we need to think a bit bigger than "should we build an expensive new train network or not?" HS2 will deliver London-based public employees, media folk and professionals to Brum, Manc and Leeds a bit faster, with the tickets going on expenses. No one else will be able to afford it. I don't buy this idea that HS2 'frees up capacity on the other lines'. It'll do no such thing unless the govt caps the fares in line with the other existing services (which are plenty expensive enough). Why not just do what Govt used to do and give massive tax incentives for corporates to relocate to other parts of UK? It would surely be cheaper than the GWER (Great White Elephant Railway) and cause far less resentment. Idle, I tend to agree. If "capacity" was the main driver we would not be looking at a proposed non-stop line to Brum as the first section. If there is a capacity shortfall on the West Coast, as claimed*, then why not start with the bottlenecks at Crewe and other places and work down? If we need more capacity to Brum, why not look at expanding the existing perfectly-quick Chiltern route? Lots of people say that the most cost-efficient transport system is coaches. If so, why not build a (additional) bus lane up the M1 and M6. That would cost less than 50 billion surely. * wasn't trillions just lavished on this line? why wasn't capacity increased enough?? Hmmm...I am not convinced by these good qaulity comments. Firstly, in many parts of the Uk the government local authorities will offer you free grade a office space for 5 years for free. this has helped in some areas (Northern Ireland and Glasgow being good examples), but is a race to the bottom of susbisdy offers on a national scale. Even with the cynics, a high paying bankerr who can live in leeds will buy a nice house there, send his kids to school there and spend money there. currently this all stays locked in the home counties. Whilst not being an optimal solution it is an improvement. Could we instead double-deck the M1, yes possibly I guess. I doubt it would cost any less and roads are as much, if no more to maintain than railway. Finally, I agree there is no other solution on offer. This is key. If HS2 is canned nothing will replace it. The money will remain unspent or used on marginal (in the gradner sense) updates of crewe junction etc. PS. Look in London at the regenerational effects of tube extensions (SE1, Stratford). this does work! Clever politician's answers CU. Why are you not in Parliament? Nobody has said that transport investment is a bad idea, so why mention the Jubilee line extension? It's not comparable. If anything it supports the arguments made against you (i.e. that the same money could be better spent on city/regional projects)! You say there is nothing else on offer straight after offering at least one alternative. You say it will be a "race to the bottom". Why is that the case when it clearly is not like that between developed countries? Does the UK government have to subsidise office space to stop the banks moving to France? No. What's wrong with spending less money on making some smaller "marginal" improvements to the transport network? If the case for HS2 was so nailed on, why are so many people now absolutely appalled by the potential cost? I was hugely in favour at the outset. It seemed like a no-brainer: nice new upmarket trains like we enjoy when we go to Paris or within France or Germany; faster journeys for those times when we have to travel for work. But Alistair Darling has admitted they picked a price tag out of thin air. Ed Balls has basically withdrawn Labour's commitment to the project. The current government is now saying it was never about building a fast train line but was always about increasing capacity and if increasing capacity why not do it by building to the highest standards. That argument is blown out of the water by serious people who have proposed costed other improvements to national infrastructure which could increase existing capacity for a fraction of the price and in much shorter time-frames. I was in favour when the pretty pictures first appeared in the media, now I am hugely less so now we're starting to understand the true costs. The BBC has been running a series on grand schemes which the money could be spent on. Most are mad-cap as would be expected. But things like building a trans-Pennine rail tunnel have merit. Please don't tell us there is no alternative. I think the thing which drives most "pros" is the insecurity of not having comfy fast trains like our European competitors do. I can't imagine the Americans get too worked up in the same way. I had read that HS2 was the British section of the planned European high speed rail network (or some other such title) and was to a large extent Brussels inspired. I recommend reading Richard North's blog, EUREFERENDUM.COM (I just did a search on HS2 there) for the story. Christopher Booker also covered this story in the Telegraph. HS2 won't help the North much. There are a lot of tech companies scattered about, and the skills are there - but it needs better links. Connect Ripon and Wetherby with Harrogate, sort out the single track between Knaresborough and York and you'll see more investment and business, especially with the proximity of the A1 and the M62 and M1 further down from Wetherby. Electrification and more passing loops on tracks between the main cities in the North West and North East, sort out Manchester's metrolink... These will all genuinely improve transport in the area for cheaper. We can't compete with London on every metric, but the north has a lot of hotbeds begging to be better connected. It isn't just a 'North-South' divide. This is a fiction created by Catherine Cookson romanticists. My Northern relatives (Newcastle/South Shields) always enjoyed a far higher standard of living than we did in South London. Cheaper beer, more space, bigger houses, better scenery. This North/South divide argument is entirely bogus as Elby states. - passing loops at strategic positions to enable local services to stand out of the way of high speed. Also the removal of level crossings wherever possible - to get both road and rail moving faster and safer. Applied over the whole network with HS2 money I would bet on a far better return for the 'investment' and a much more even distribution of wealth to the many strapped regions in our country. PS - Not claiming that Elby was saying that the North isn't impoverished - but I agree entirely with him that many other regions are at a disadvantage to London too. The fact is that it was decided - mostly by people based in the Capital and SE - that work in the regions didn't matter and could be outsourced and all that mattered was London money. E-K I agree we should look at the whole rather than get sucked into the old North / South narrative. For example I am originally from the west, and it isnt all it's cracked up to be, we cant all live in twee holiday cottages you know. London is wealthier than the rest of the nation because the money is made in the rest of the nation but the profit is realised in HQ in London. Simple as that. It is a well understood problem in an economy with a single currency - the profit tends to gravitate to one point. It happens to be London. Wealth is redistributed by taxation to the regions because otherwise London would slowly bleed the rest of the nation dry. Just come across this. I am from Brizzle and unconvinced about this apparent recovery...papers say it is the best in the country but you get 90, 100 apps for admin asst, you get lots of interest in a temp library cafe assistant. Where are all these jobs outside London/SE?? Interested in your expert insight, cheers!